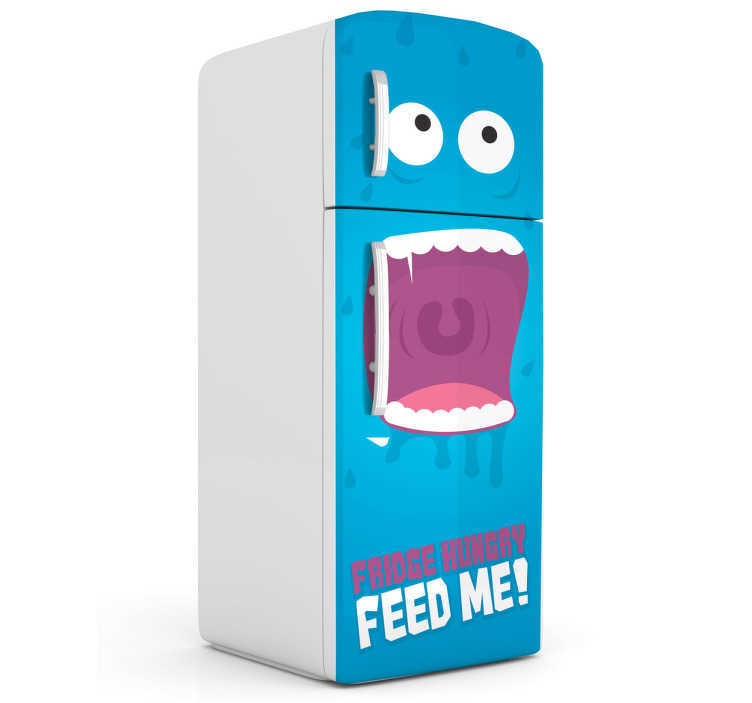 A fridge decal filled with humour with a hungry blue monster who's asking for food. Funny sticker to give your fridge a new look! *Tell us the width and the height of your fridge so that we can customise the sticker for your fridge.